If your child is preparing for independent school exams, or the Common Entrance, showing maturity in their writing is going to be expected. 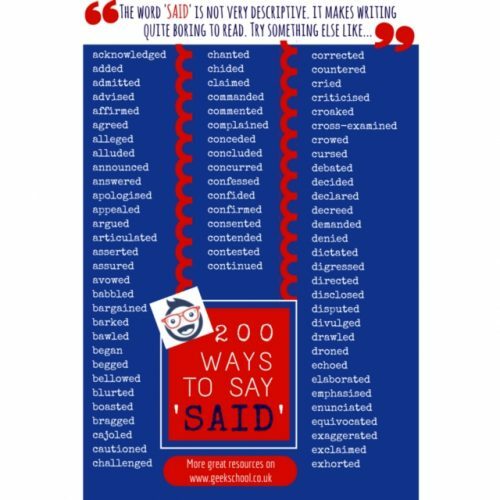 So, when they write an essay and every single dialogue word is ‘said’, ‘said’, ‘said’, you can guess what type of impression they will be given to the marker. 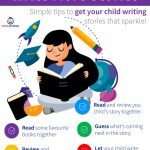 So, instead of your child writing a story that reads like porridge with no cream or sugar, your child’s writing will be like one that’s been flavoured with cinnamon and a bit of spice. Glorious! 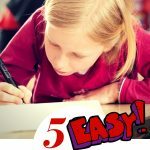 If your child is preparing for independent school exams they’ll need to show maturity in their writing in order to make the cut. So, when your child writes an essay and every single dialogue word is ‘said’, ‘said’, ‘said’, you can guess what type of impression they will be given to the marker. 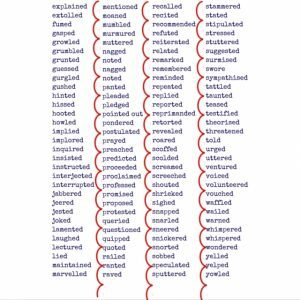 Children can brainstorm some different dialogue words, but they often go for simply words like ‘replied’, ‘exclaimed’, which is great. 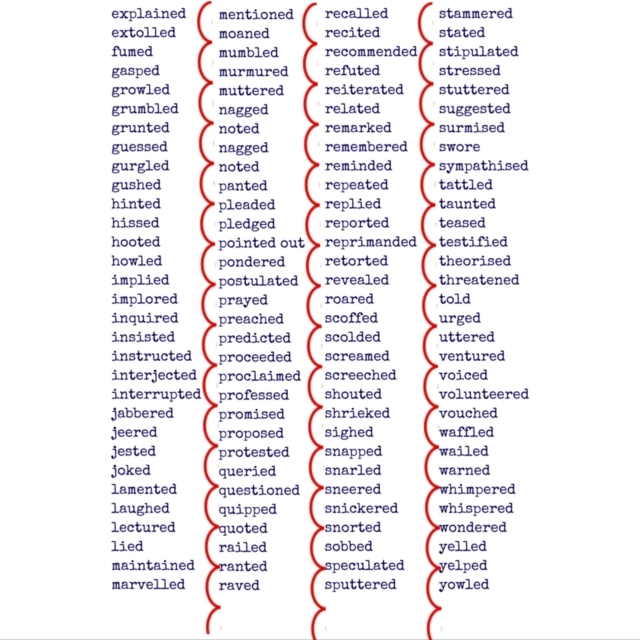 However, the English language really does have a whole lot more dialogue words which will convey the feeling behind what the character in their story is saying. That’s what the top private and independent schools are looking for. 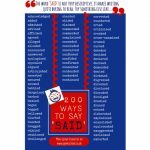 Save yourself trawling through the internet and the thesaurus to help them – Geek School come up with 100 Ways to Say ‘Said’. This is a two-page PDF, which you can download now. While your child does not need to learn every single one of them, they can pick some of their favourites to add some spice to their writing. 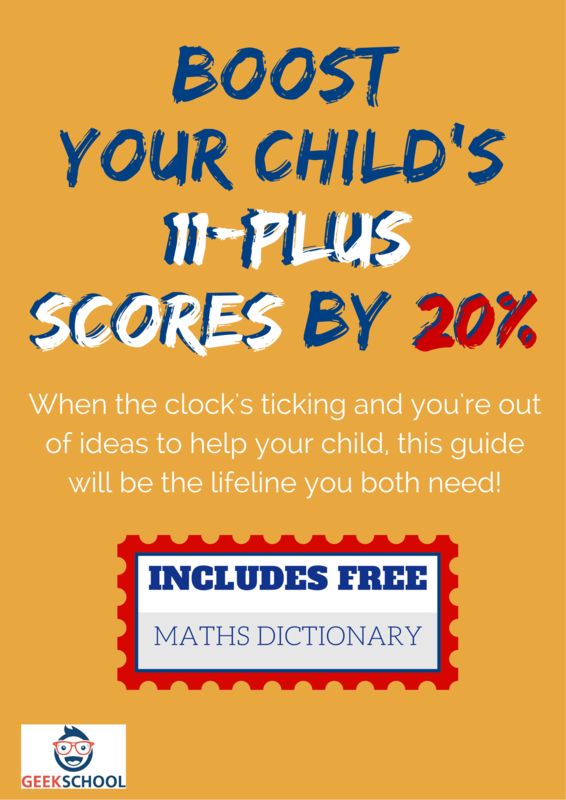 Grab the first page for free, and if you like it, be sure to get the whole document – it will be worth it!